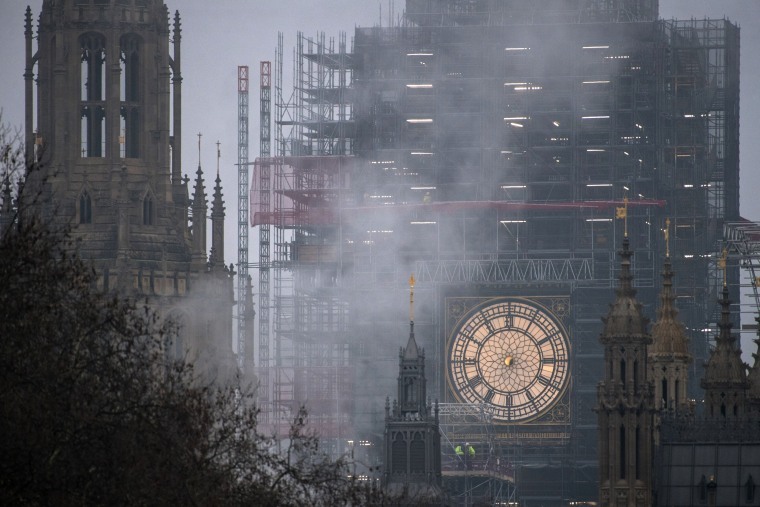 Zuckerberg faces Congress, Big Ben loses its hands, a piggy goes to market, and more. 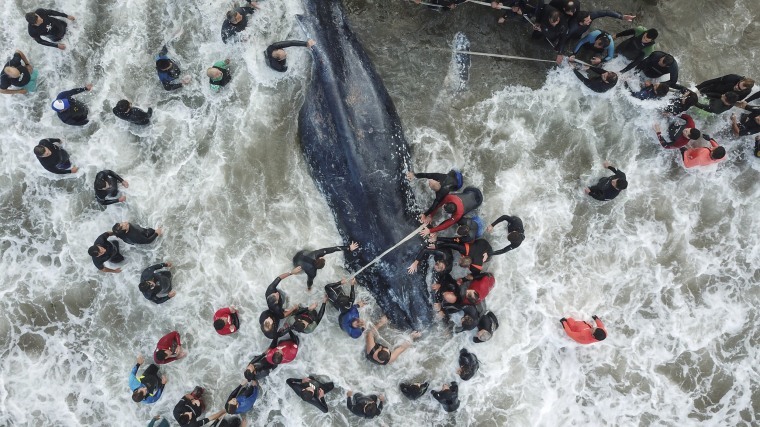 Rescuers try to save a stranded humpback whale in Mar del Plata, Argentina, on April 9, 2018. Conservationists had been digging around the six-ton whale with heavy machinery and using a crane to lift it and improve its hydration. The whale died despite round-the-clock efforts over the weekend that drew in dozens of volunteers. 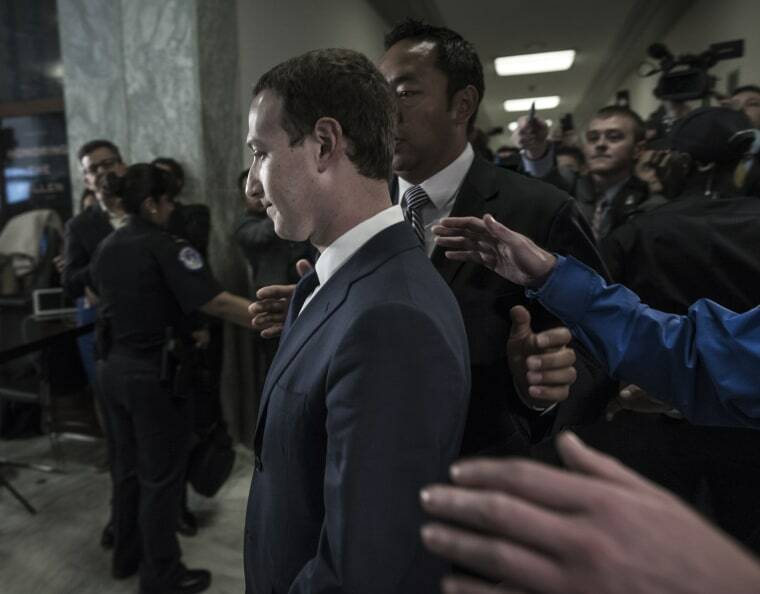 Facebook CEO Mark Zuckerberg leaves the hearing room after testifying on Capitol Hill on April 11. After two days of congressional testimony, what seemed clear was how little Congress seems to know about Facebook, much less what to do about it. House lawmakers aggressively questioned Zuckerberg on user data, privacy settings and whether the company is biased against conservatives. As they did in the Senate a day earlier, both Republicans and Democrats suggested that regulation might be needed, but there was no consensus and few specifics about what that might look like -- or even what the biggest problems are. 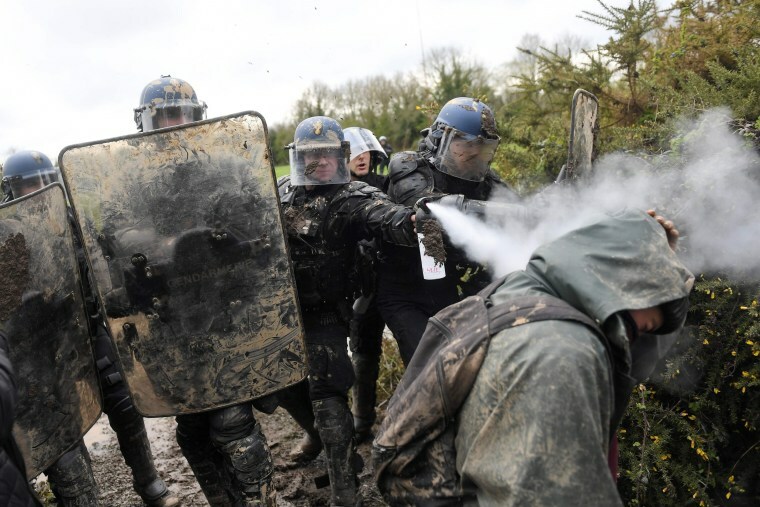 French police clash with environmental activists during an operation to clear the protesters from a site proposed as a new airport in Notre-Dame-des-Landes, France, on April 9. 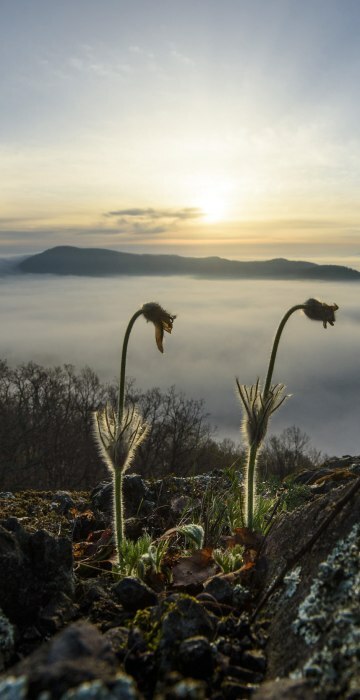 The site in western France had been squatted for years by opponents of the plan to build a $710 million airport which the government decided to drop in January. 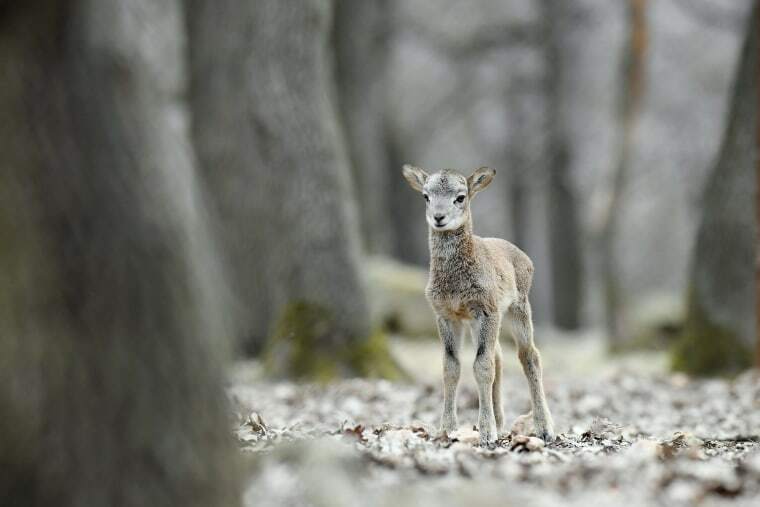 A week-old mouflon lamb looks around in the Budakeszi Game Park outside Budapest, Hungary, on April 10. 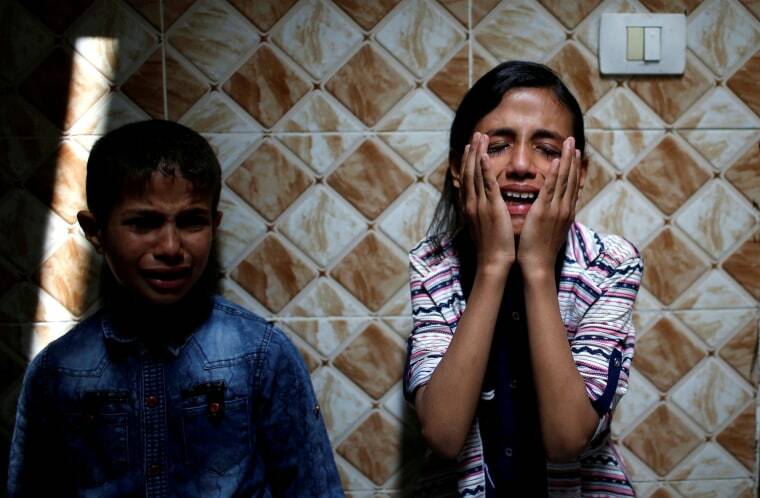 Palestinian relatives of Hamas gunman Mohammed Hejelah, who was killed in an Israeli air strike, mourn during his funeral in Gaza City on April 12. Hamas has called for Palestinians to amass at the border as part of a weekslong campaign of protests against a decade-old Israeli and Egyptian blockade of the territory. Twenty-six protesters have been killed and hundreds wounded since the protests began March 30. 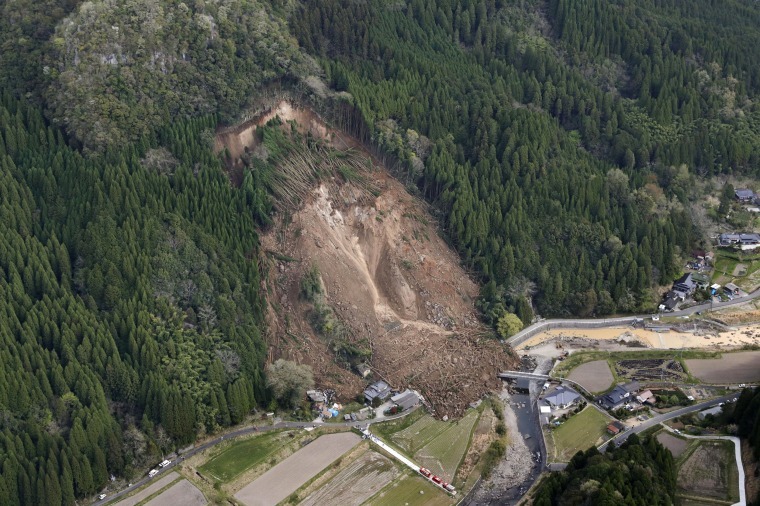 A landslide early on April 11 buried homes and left six missing in Nakatsu, Japan. The landslide, which occurred around 3:50 a.m., damaged four homes in Oita prefecture on Kyushu, the southernmost of Japan's four main islands. 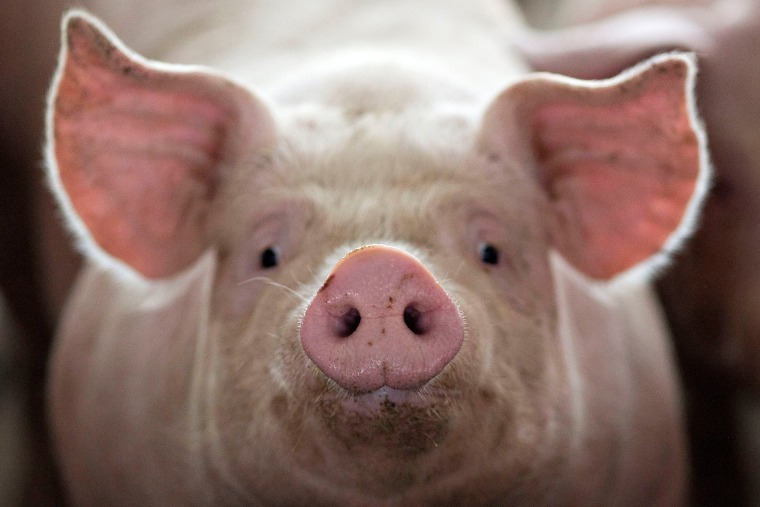 A pig, nearing market weight, stands in a pen at Duncan Farms in Polo, Illinois, on April 9. 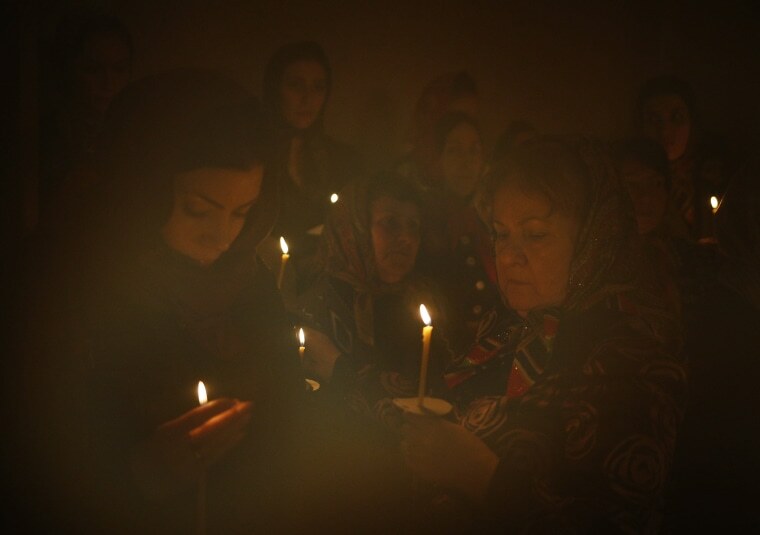 Members of the Nekrasov Cossack community attend an orthodox service at the Church of the Assumption in the settlement of Novokumsky, in Stavropol region, Russia, on April 7. 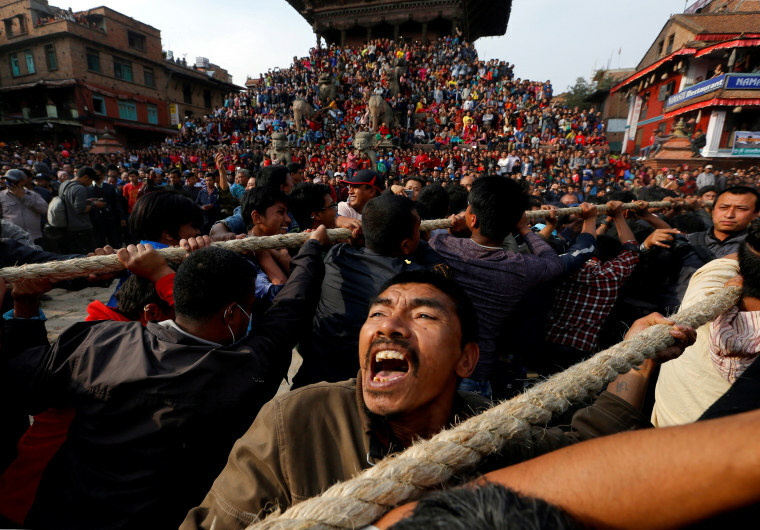 Devotees pull the chariot of God Bhairab during the Biska Festival in Bhaktapur, Nepal, on April 10. 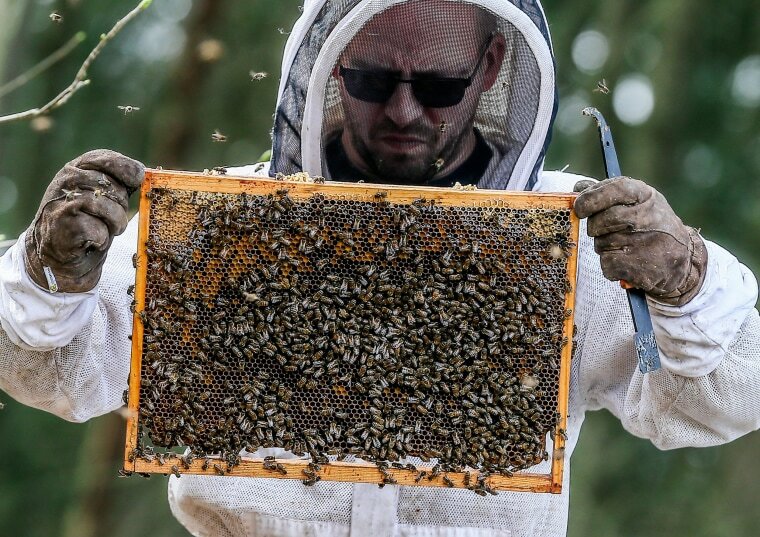 Damien Babilon holds the frame from a beehive at the Beetasty Farm in Denee, Belgium, on April 9. 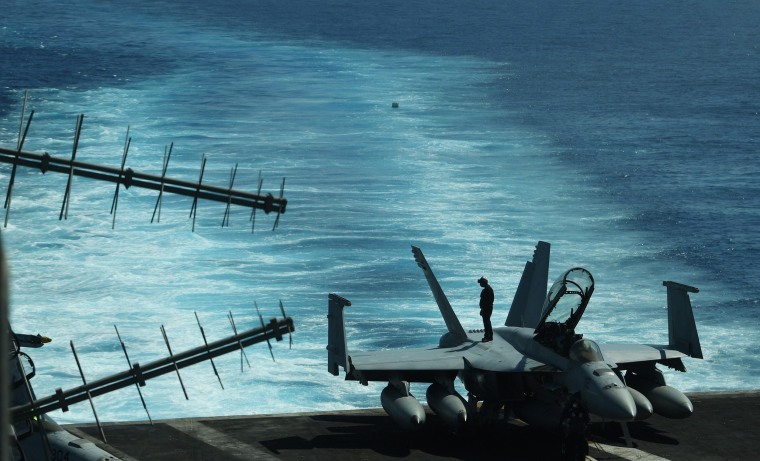 A sailor inspects an FA-18 hornet fighter jet during a training aboard U.S. aircraft carrier Theodore Roosevelt in the South China Sea on April 10. The carrier group Theodore Roosevelt is transiting through the South China sea on its way to the Philippines from Singapore after participating in Operations Inherent Resolve and Operation Freedom's Sentinel in Syria, Iraq and Afghanistan. 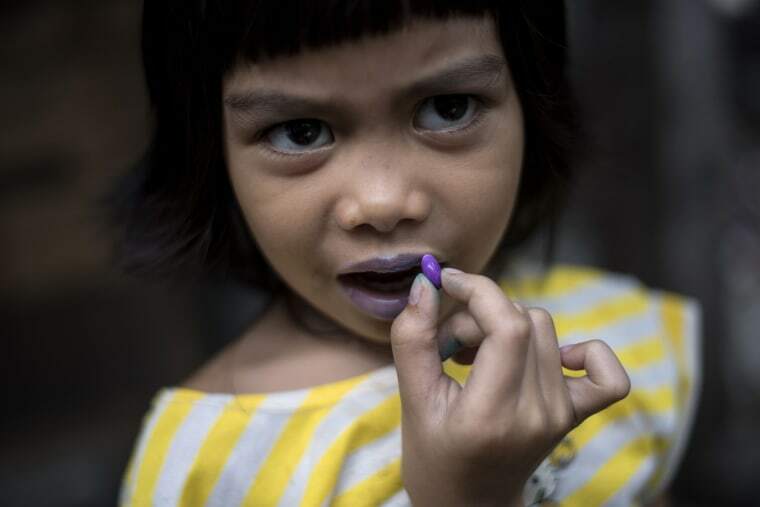 A girl colors her lips with a piece of candy in Manila, Philippines, on April 11. 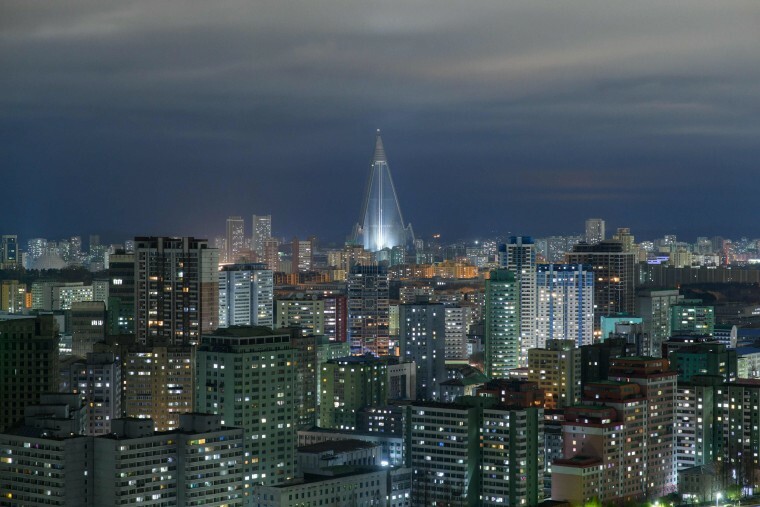 A view of the Pyongyang skyline on April 5. Palestinian demonstrators shout during clashes with Israeli troops at the Israel-Gaza border on April 6. 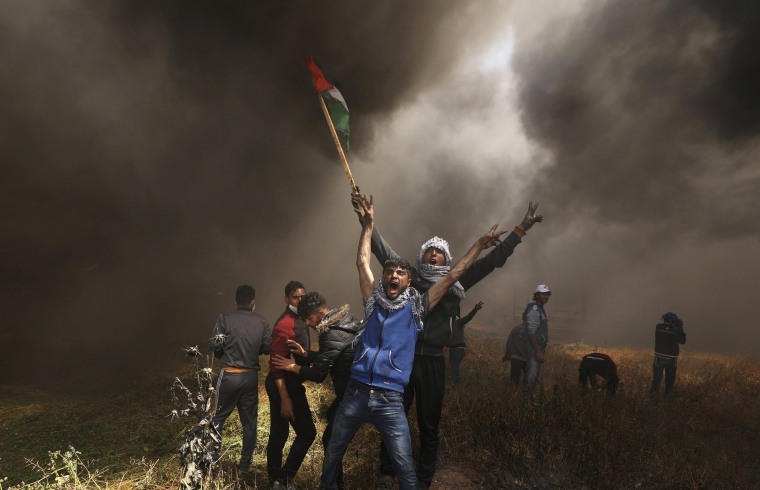 Israeli troops killed four in the second mass protest in a week along Gaza's volatile border, as Palestinians torched piles of tires to create a smoke screen to block the view of snipers. Debris covers the scene of a fatal crash outside Tisdale, Saskatchewan, Canada, on April, 7. 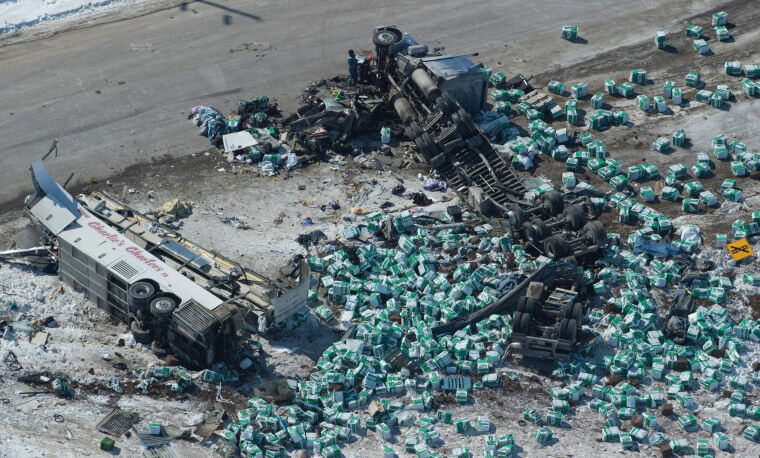 The Humboldt Broncos junior hockey team was on its way to a playoff game Friday when the bus collided with a semi-trailer at an intersection. Sixteen people were killed in the crash. 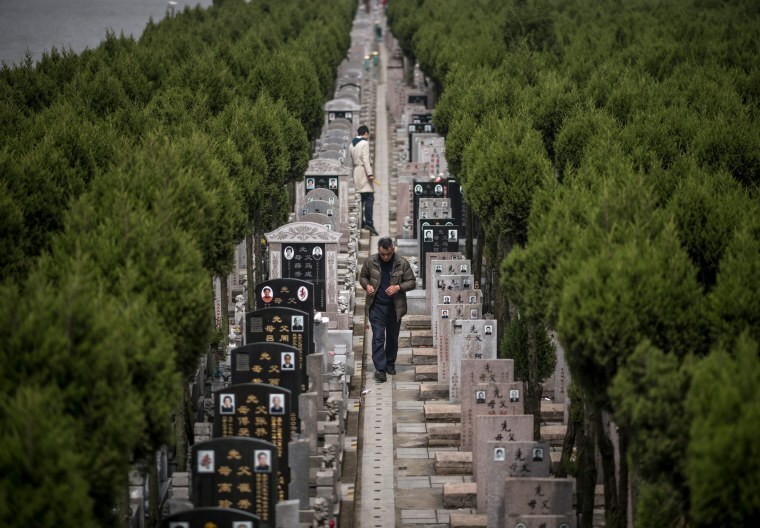 A man walks along graves during the Qing Ming festival, also known as Tomb Sweeping Day, at a cemetery in Shanghai on April 6. The Chinese traditionally tend to the graves of their departed loved ones during the festival, and make offerings to honor them in the afterlife. 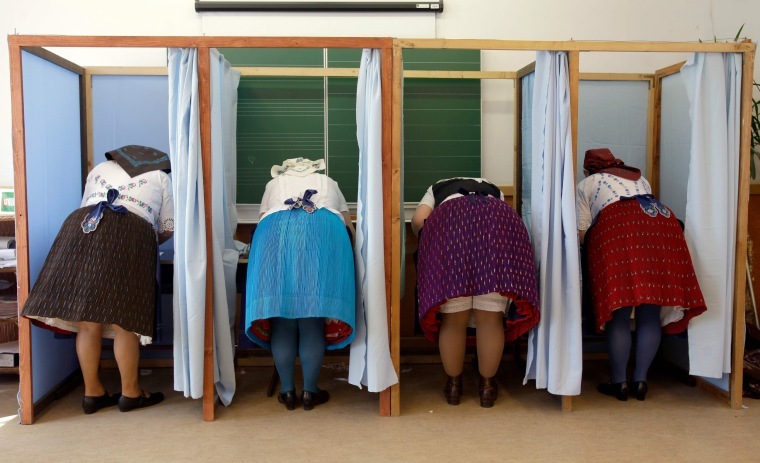 Women dressed in traditional Hungarian outfits cast their votes in the country's general election at a polling station in Veresegyhaz, Hungary, on April 8. Hungary's right-wing Fidesz party won a landslide victory in a parliamentary election on Sunday, giving Prime Minister Viktor Orban a strengthened hand in his battles against the European Union and civic rights groups at home. U.S. 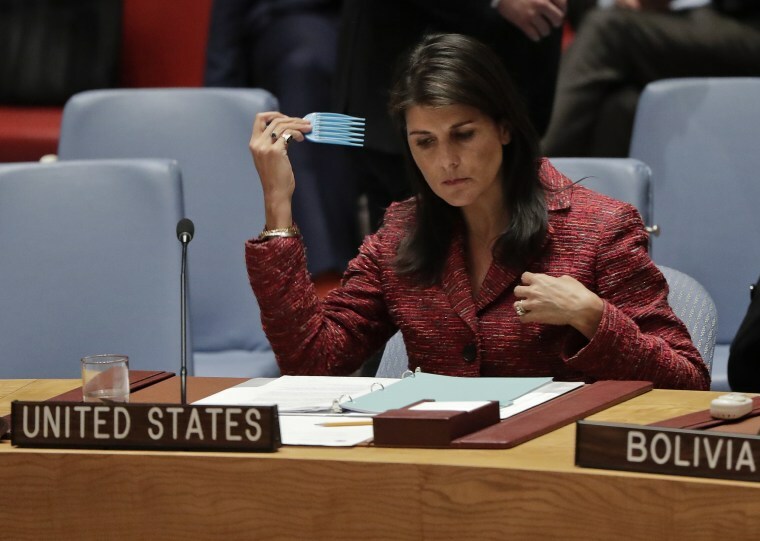 Ambassador Nikki Haley combs her hair before the start of a United Nations Security Council meeting on April 10. The U.N. Security Council has rejected a Russian resolution that would have welcomed an investigation by the Organization for the Prohibition of Chemical Weapons into a suspected poison gas attack in the suburbs of Syria's capital. 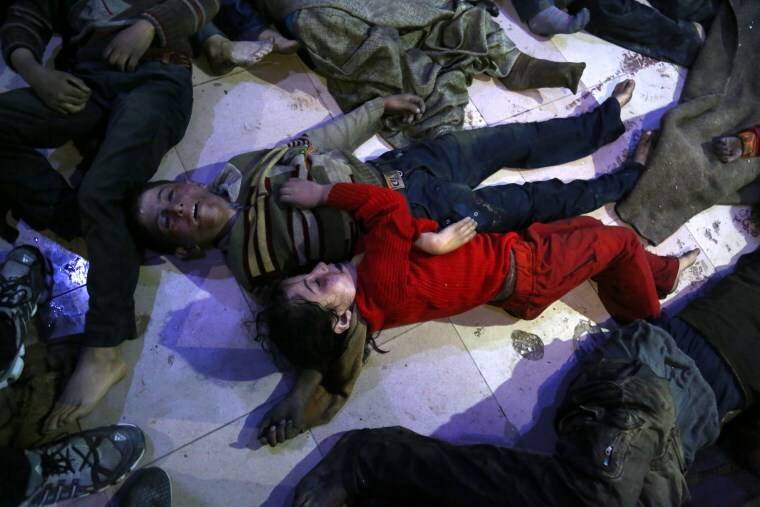 Victims of a suspected gas attack lie on the ground in Douma, Syria, on April 8. The suspected chemical weapons attack on a rebel-held town near Damascus killed more than 40 people over the weekend, many of them said to have suffocated in underground shelters from a chlorine-like substance. The attack was quickly and widely blamed on President Bashar Assad's forces, provoking calls from Western nations for swift retribution. But Assad and his backers in Russia have denied it. 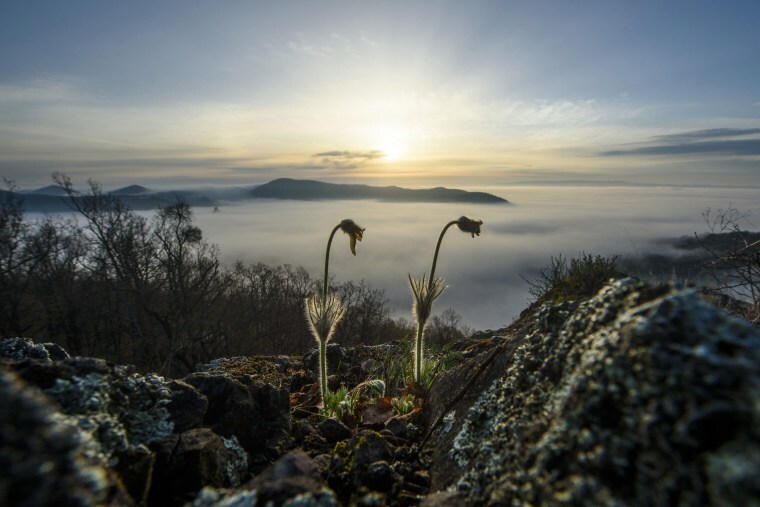 Morning fog hovers above the hills during sunrise from the peak of Tilics hill, near the village of Hajnacka, Slovakia, on April 11.